and overall restore the youthful 3-dimensional contour of the face. There are many filler choices: hyaluronic acid, a naturally occurring human protein responsible for cushioning the skin (Juvederm ™)and newer fillers or volumisers that are meant to fill larger volume loss like sunken cheeks, lost cheekbones, and very deep nasolabial folds and marionette lines. 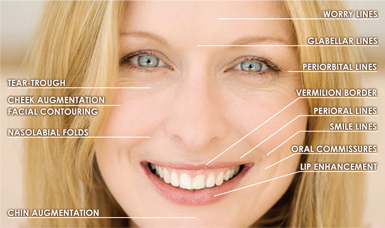 Hyaluronic acid dermal fillers are produced by human genes inserted into a bacterium for reproduction (Juvederm). It is a highly "conserved" protein, meaning that its genetic composition is almost exactly the same in 97% of animal species. 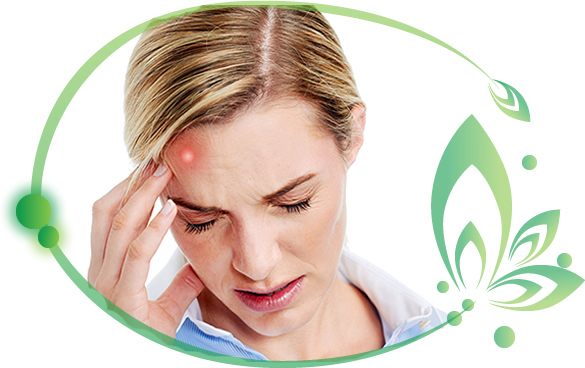 This gives an extremely low incidence of allergic reactions, hence there is no need for pre-treatment skin testing. Artistically performed injectable fillers can improve your appearance within one week. Dermal fillers such as Juvederm 24 HV can also be used to improve ageing hands, décolleté and skin. 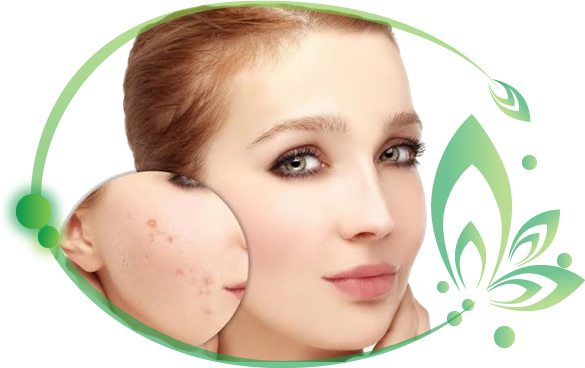 Multiple micro injections are placed in the dermis attracts water and instantly plump up the skin. 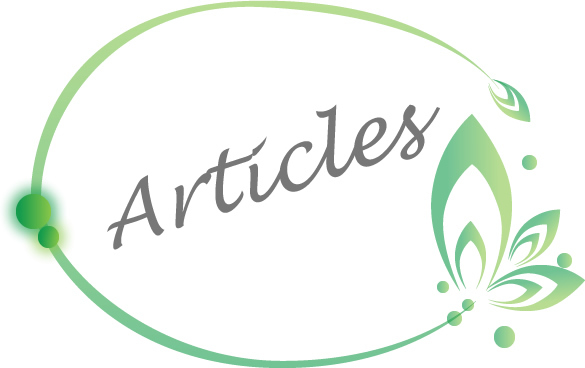 To understand the various treatments of wrinkles, one must understand that there are different kinds of wrinkles, dynamic wrinkles and static wrinkles. Dynamic wrinkles are those wrinkles and lines that appear when your face is animated. Static wrinkles are those facial lines that are evident even when our face is at rest and is better treated with dermal fillers. Dermal fillers can be used to treat both dynamic and static wrinkles. Static wrinkles are wrinkles that are evident even when our face is at rest. Sleeping positions are one of the main causes of static wrinkles. Resting your face on the pillow in the same way every night for years on end also leads to wrinkles. Called sleep lines, these wrinkles eventually become etched on the surface of the skin and no longer disappear when the head is not resting on the pillow. Women, who tend to sleep on their sides, are most likely to see these lines appear on their chin and cheeks. Men tend to notice these lines on the forehead since they usually sleep with the face pressed face down on the pillow. People who sleep on their backs do not develop these wrinkles since their skin does not lie crumpled against the pillow. 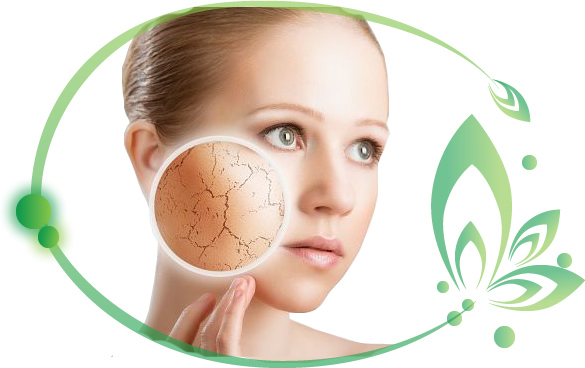 Wrinkle treatment should start as soon as one sees a wrinkle developing when the wrinkles are still "soft". If these wrinkles are neglected they become "ingrained" and "scar like" they are impossible to treat successfully. If we intervene early and fill in wrinkles with dermal fillers, then we can prevent the breaks in the skin, commonly known as wrinkles. In addition, if the wrinkles are filled up with fillers, this exerts pressure on the fibroblasts in the area and collagen is stimulated which then gets incorporated into the wrinkle area and causes prolonged filling effects and wrinkle improvement. Repeated filler injections, when necessary, will ensure a superior long term result as collagen is continually stimulated. In addition to wrinkles, often an ageing face is less about a softening jawline and more about losing volume higher up in the face ie. the temples, the eyebrow area, the anterior and lateral cheeks. When the lower parts of the face start dropping, gravity is defied by lifting and replacing the lost volume with injections of dermal fillers in the upper parts of the face. Soft tissue volumising techniques using dermal fillers reverse these atrophic changes, yielding outstanding results and all with minimal downtime. 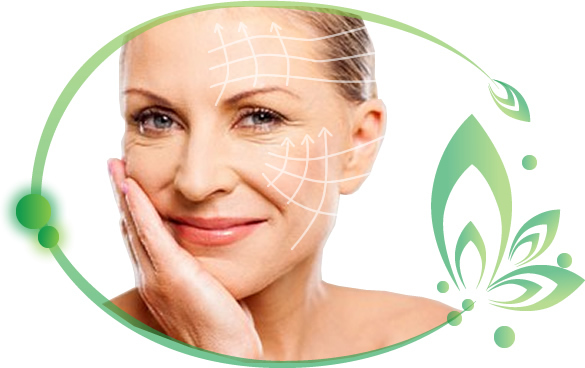 The Liquid Facelift is a facial contouring procedure that involves the use of strategically placed dermal fillers and other treatments around the face. This "injectable facelift" can create a younger, plumper look and address concerns like lines, wrinkles, volume loss and sagging. This "injectable facelift" has been making a noticeable impact in aesthetic medicine during the past few years. It is typically more subtle than surgery and an increasing number of individuals are trying liquid facelift procedures before traditional face lift procedures. Dermal fillers are commonly performed at the same visit as other treatments…the Liquid Facelift. Our other treatments help with the upper one-third of the face whereas injectable fillers generally help with the lower two-thirds. The combination is one of the most widely used and most effective methods of achieving a significant aesthetic improvement within 1-2 weeks time. Fillers can be combined with just about any other aesthetic treatment that exists as long as it is performed by a qualified Aesthetic practitioner. After the procedure you are provided an ice pack to take home which lessens the redness and swelling and advise you to periodically apply ice to the treated area for a couple of hours. You may put makeup on immediately and resume whatever activities you have planned, as long as you recognize that you will be a little red and swollen for a half a day to a few days. We usually ask you to come back at two weeks when everything is settled to evaluate your results and ensure that you are satisfied with the outcome and have had no problems. Try to avoid aspirin containing products or high-dosage vitamin E supplements for 48 hours before the filler procedure unless medically necessary. Avoidance of these for 10 days prior to the procedure is recommended to avoid bruising. Hyaluronic acid dermal fillers are produced by human genes inserted into a bacterium for reproduction (Juvederm™) It's a highly "conserved" protein, meaning that its genetic composition is practically exactly the same in 97% of animal species. This gives is an extremely low incidence of allergic reactions, and therefore there is no need for pre-treatment skin testing. 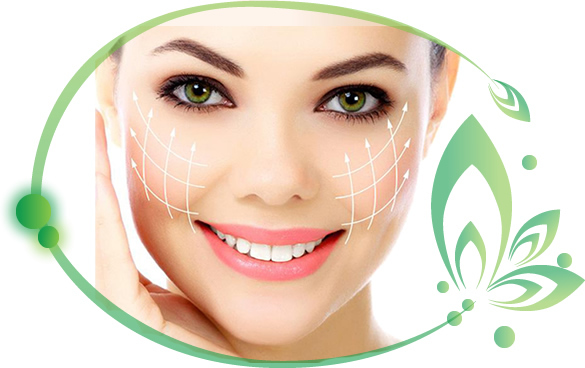 The above mentioned fillers have been used in millions of patients for more than 10 years with a very low incidence of side effects and thus are considered very safe.